I've been on a bit of a sports luxe vibe lately. I can't get enough of trainers, trainers with everything! (Or sneakers for my lovely American pals). 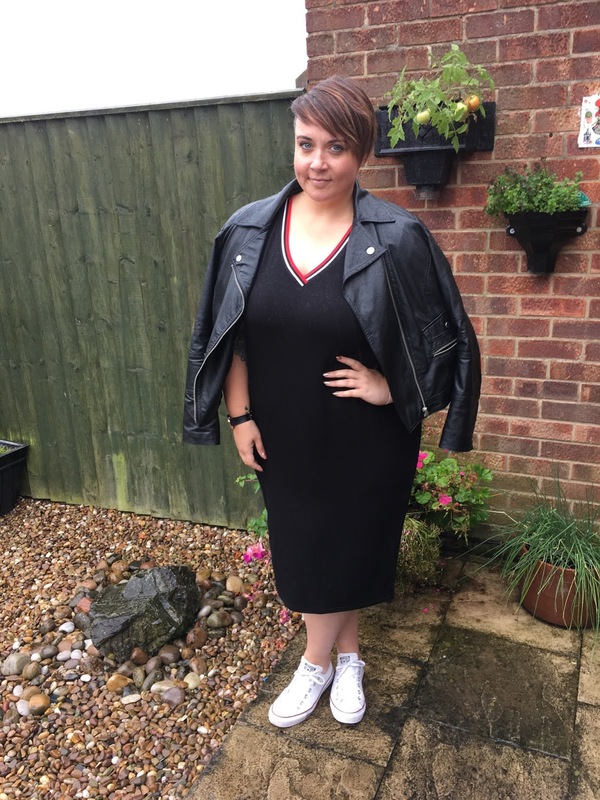 So when I got to chose a couple of plus size dresses from Simply Be, I was excited to pick this sporty number up. It's super simple, but the little detail to the neckline just makes it. 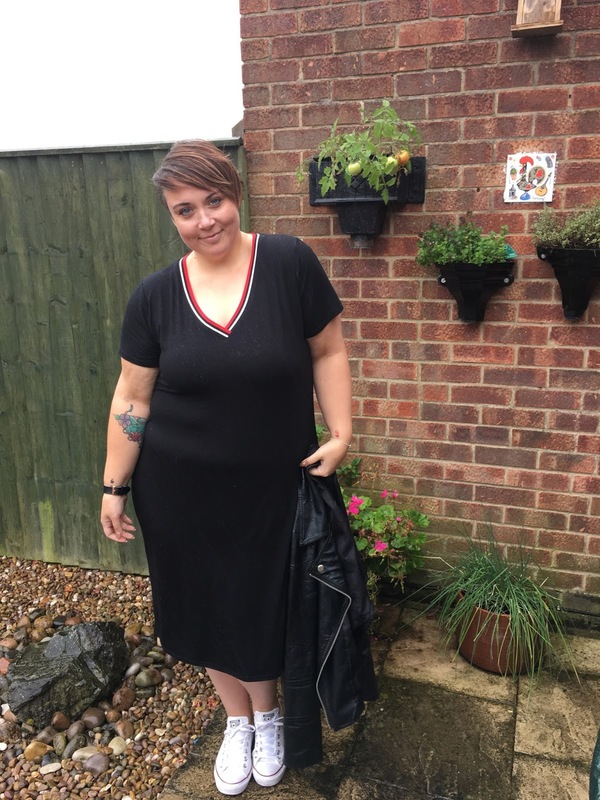 The midi length is fantastic and the lightweight jersey is cool and comfortable. I of course managed to catch some pictures on the only day for the last couple of months that it rained haha! Oh well! As you can see I've just teamed mine with converse, and my biker jacket to keep the rain off. This would look awesome with a bomber jacket too. I'm wearing the 22 and found it completely true to size. Not too clingy, but fitted enough to show off my figure. Tomorrow I'm heading to Liverpool for the Curve Fashion Festival, if you're coming along, please stop me and say hi! Whatever you are doing, I hope you have a great weekend.